Shave pastels! Yes that's what I said and if you are looking for a twist on pastel painting then you should get ready to shave some pastel dust! If you been a regular blog reader then you have probably read my posts on the Dusting technique. It is actually an old technique of applying pastel to paper. I discovered it a few years ago and I have been having fun with it ever since. What is Dusting? It is simply another way of applying pastel. 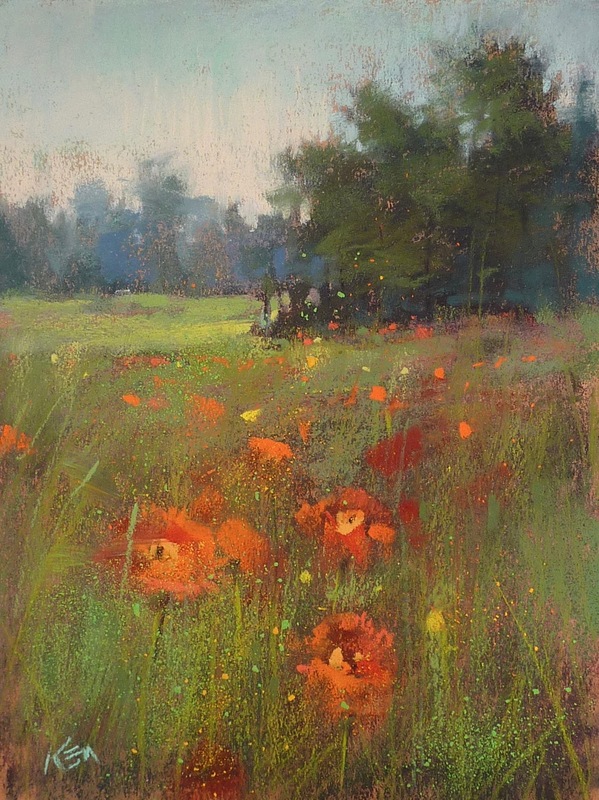 Instead of making lines of thick marks, or dots and dashes, the pastel is shaved with a blade or edge of a palette knife and allowed to fall onto the paper (which needs to be flat) You can either build up a painting with many layers of this shaved dust or you can use the dust for special effects which I did for this wildflower painting. Dusting can also be used to create snow or water foam and spray. While it is a useful technique it needs to be used with restraint. Too much and it looks like a gimmick. But just enough and used occasionally it creates a magical surprise. Below is a photo of the painting in my most recent video demo for my Patreon Page. This is where the video ended. The video was not about dusting rather it was about using reference photos more effectively. But when I came back to the painting the next day I felt like it needed some punch It was quite blah! Dusting to the rescue! 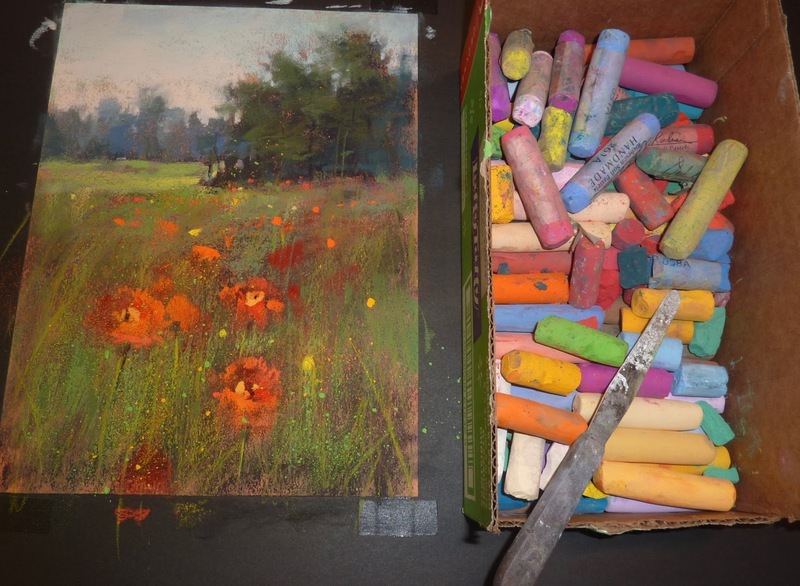 I have a box of older pastels that I save for dusting. 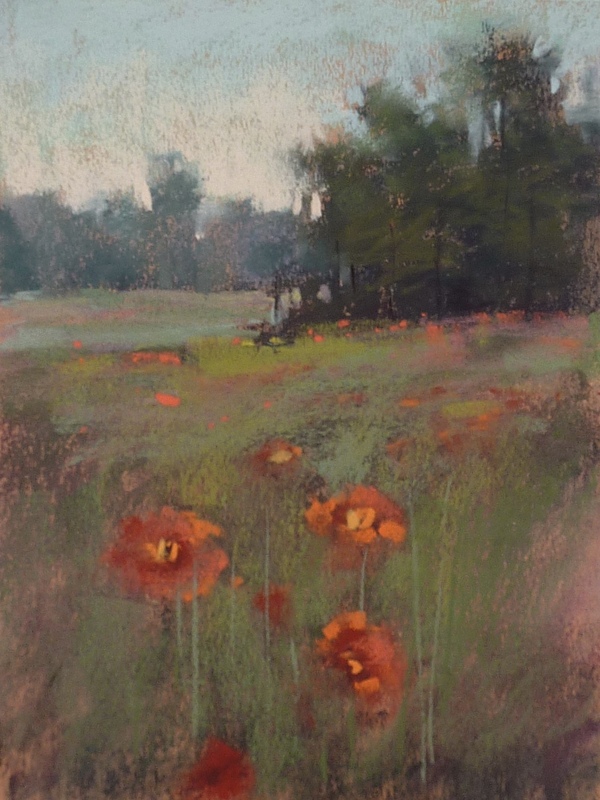 They happen to be Jack Richeson Hand rolled pastels. I like them because they are the right consistency and the colors are intense....perfect to add punch to a painting. 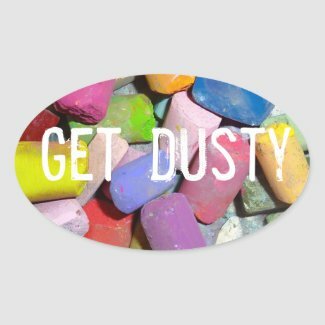 HOW TO DUST: It is simple. Lay the painting flat. Hold the pastel over the painting and use a palette knife to shave the pastel letting the dust fall on the painting. After I am finished dusting I use a piece of glassine paper and the palm of my hand to rub the painting which pushes the dust into the paper. CHECK OUT THE VIDEO DEMO OVER ON MY PATREON PAGE. $4 a month for this video and so much more!